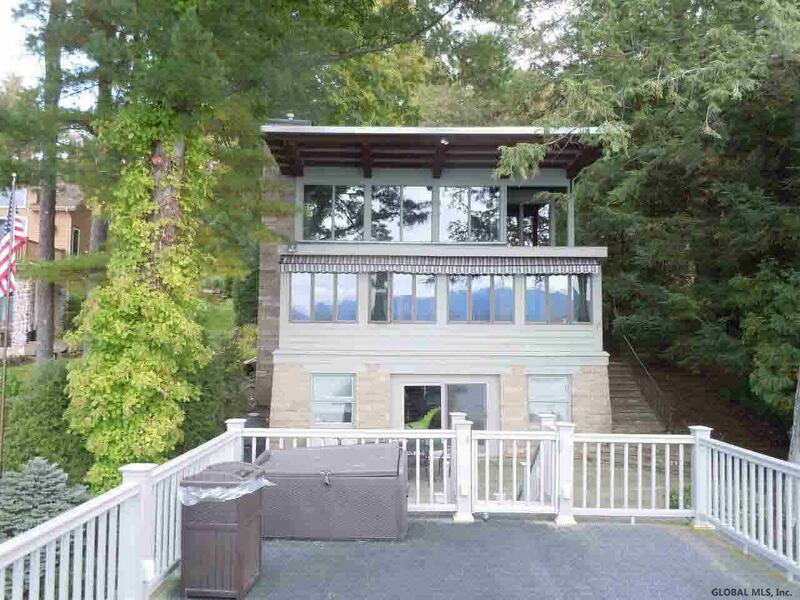 ADK style home w/beautiful lake views & glass wall of windows, cathedral ceiling in Great Room w/massive stone fireplace, hardwood floors, pine interior, post & beam construction, above ground basement w/fireplace, bar, full bath, slate patio, crib, dock w/sundeck, exter. redwood & sandstone. All ADK furniture included, generator, central air.